Former state Senator Jim Argue, a Democrat who once chaired the Senate Education Committee and co-authored Arkansas's original charter school law in 1999. Almost two decades ago, the Arkansas legislature passed a law allowing open-enrollment charter schools to be created. Today, a co-author of that original law says some aspects of these publicly-funded but privately-managed schools are making him nervous and uncomfortable. In 1999, former state Senator Jim Argue, a Democrat who once chaired the Senate Education Committee, had been in the legislature for eight years. He says he was growing increasingly discouraged about trying to better education. "The obstacles to significant improvement in public education for the 455,000 students attending public schools in Arkansas just seemed insurmountable," says Argue. He says he wanted to improve curriculum, increase compensation and training for teachers, and examine failures in leadership. But, that wasn’t happening. "The legislature worshiped local control because most of those legislators, by number, were from small rural districts. And those school districts were major employers. And the legislators wanted to be sure they got re-elected. It didn't help their re-election chances if they got crosswise with the local superintendent, which meant the status quo was well represented in the legislature," says Argue. He says he felt frustrated and hopeless about trying to change Arkansas’s education system. "And so in that spirit of frustration, I partnered with Senator Brown and we passed the charter school bill. And really, my thought was 'By golly, if I can't fix the system for every kid, then at least I'm going to fix it from some kids'." So, the Arkansas Charters School Act of 1999 was born. The intent was to open the doors for establishing schools that would operate independently from the existing structure of local school districts. Argue believed it would encourage innovative teaching methods, give parents and students more choice, and force traditional public schools to become better. "The KIPP schools is kind of the shining example. The charter school legislation allowed the KIPP school to be established in Helena. A great model that occurred there." Then, in 2002, something big happened: a landmark decision that changed public education. The Arkansas Supreme Court issued a ruling in the case of the Lake View School District. "And it was an earthquake to public education in Arkansas. It changed the world. The Lakeview decision said there is no local control in Arkansas. Local control does not apply. It is a state responsibility to educate public school children across the state. And if districts fail to provide those students with an adequate and equitable public education, then the state has a constitutional duty to step in and correct the situation." Argue says the court decision gave him hope. But, it also made him re-evaluate the role of charter schools as a solution to public education. "When we passed the charter school bill, it was pre-Lakeview. And I was frustrated that I couldn’t fix the system for students, and charter schools gave me an alternative way of going about that. Post-Lakeview, I was re-enthused and became a believer again that we could fix the system for every student. So charter schools, though I don’t think they’re a bad thing, I don’t think they are the great tool or opportunity in 2017 that they were in 1999." Argue says he’s been concerned with the weakening of restrictions made to charter schools over the years, including where and how many can be created. "It seemed like subsequent legislatures were constantly making attempts to nibble away at the protections we had incorporated into the bill. There have been efforts in a number of legislatures to broaden the number of groups and authorities who can approve charters [and] to extend the terms of charters. And it just seems like it’s become less and less focused on students with the greatest disadvantages." He says he’s concerned that charters are cherry-picking the best students, leaving the highest-need students in the public school district. "I guess I kind of remain undecided [on charter schools]. But I’m uncomfortable taking choice away from parents and I don’t think we get where we want to go by just paying money to districts without expecting results." Argue says those concerned with the proliferation of charter schools shouldn’t overlook what he sees as an opportunity to use the charter school legislation to their advantage. "I’ve told school folks who oppose charter schools, I’ve told them countless times, 'start your own charter schools.'" District-run charter schools are known as conversion charters. To create a conversion charter, a traditional public school is changed into a charter and is allowed to draw students from within school district boundaries. "Think about it this way. 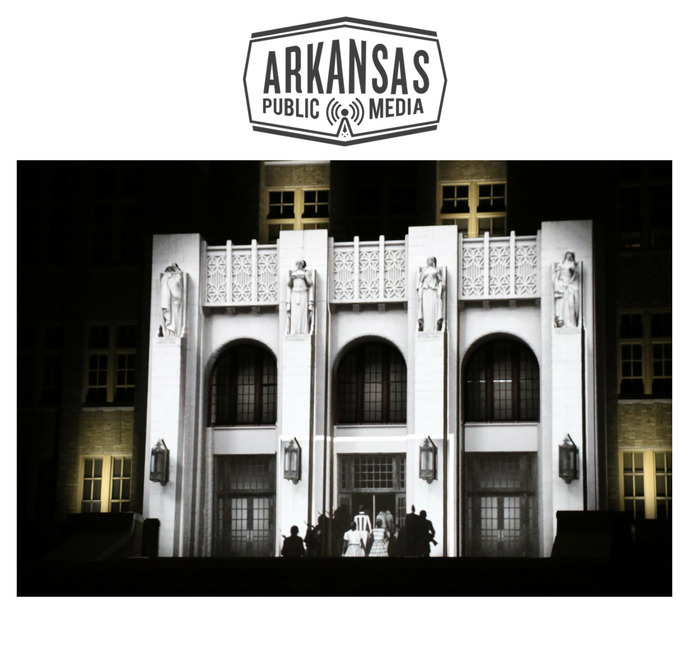 The Little Rock district at one time created incentive schools. They’ve created magnet schools. Why couldn’t those kinds of initiatives be structured as charter schools?" Currently, charter schools are not eligible for state transportation funds, so critics note this eliminates a section of the population not able to get children to and from school every day. "If the district created its own charters, that would give them a competitive advantage. They could offer transportation services to conversion charter schools operated by the district." He says he thinks the idea that charter schools give parents options is nice in theory, but fails to address the reality that some parents aren’t that involved in making decisions about their child’s education. "And that’s another reason why charters created by the district to help those students has some appeal to me. Where the district would try to direct those students to their best opportunity even when the parents aren’t engaged." More school districts around the nation now have a combination of public schools, district charters, and open-enrollment charters. Argue says he understands concerns by critics that charter schools ultimately lead to self-segregation. That debate has created tension in the state-run Little Rock School District. "I’m depressed about it because I want to see the community rally around the Little Rock School District. I’ve always dreamed that Little Rock could be the public school district that overcame all of its racial strife and worked together and that we could be the model for the whole South and a successful district and it hasn’t happened. We are cursed by our ongoing lack of understanding or trust between our racial groups." Argue says charter schools should play a limited role in education reform today. And, he says their performance hasn’t justified their existence. "I don’t think charter schools are a silver bullet, and I don’t think they are a particularly important strategy right now. I think we ought to be using the opportunity of Lakeview to improve the system for every student and not just some students. Arkansas’s history is that we have these moments of great progress with education… we have these brief moments of great progress, but then they’re always followed by decades of neglect." The embattled Little Rock School District ceremonially started work on a new high school in southwest Little Rock Monday. Students from J.A. Fair High School and McClellan High School used shovels to break ground on what will become the first new high school for the district in more than a half century. The two existing high schools, as well as four other schools in the district were identified as being under “academic distress” by the State Board of Education in 2014, which took control of the district the following year. The surviving members of the Little Rock Nine and former President Bill Clinton marked the 60th anniversary of the desegregation of Central High School on Monday. The ceremony was replete with jabs at how far is left to go to achieve progress in the era of President Donald Trump and a state-controlled school district. The anniversary of the desegregation of Central High School in Little Rock has brought national attention to Little Rock and renewed interest in the nine students who made history this month 60 years ago, even as a number of Little Rock residents talk of re-segregation of the school district and the ongoing state control of the city's public schools. Little Rock Central High School is honoring the Little Rock Nine’s 60th anniversary this week, and teachers from around the country are coming to Little Rock to participate. They aim to use their experiences and first-hand accounts gathered this week to take back with them to their students. Joe De Pasqua, an American history teacher from Hartford, Connecticut who has been teaching about Little Rock for the past twenty years, will be in town this week for the ceremonies.